Export: Date/time formats to Excel on a new PC? I face some issues with the date format. While all the dates are formatted properly on my Omniscope final box (dd/mm/yyyy), when I publish the file in Excel format, some of the dates change on text format (mm/dd/yyyy hh:mm:ss) and the rest are still on date format (mm/dd/yyyy). I started to face that issues since I changed my PC, I am telling that just in case there is an option I have to change. Hi Panos, couldn't reproduce the problem. Could you please post or email us directly a sample file/few rows of data. In the "Omniscope Date" image, you can see a sample of the date format and the dates. In the "Excel Date" image, you can see the output I get for the same dates. 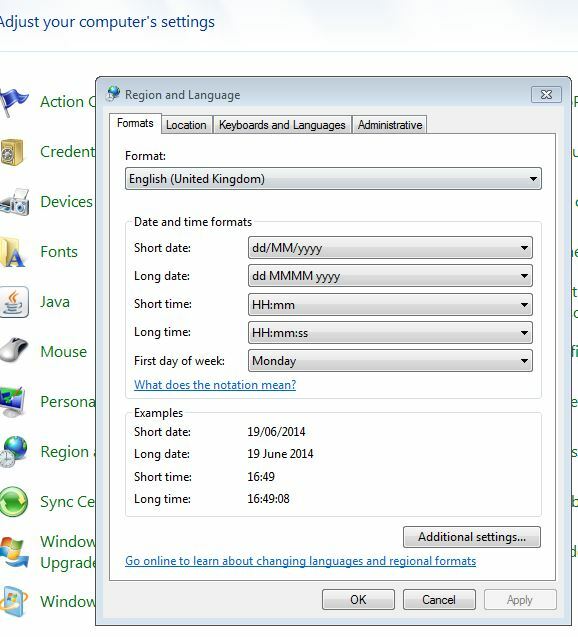 Could just be the language/regional settings in your Excel, it usually adopts whatever the PC's region is set to but you can change it in Excel. Check the default location on format cell and you can change it there. Thank you for your point, I know what you mean, unfortunately it doesn't work only by changing the format, because is in text format and some dates contain " 00:00:00" as well so I need to and create formulas to transform the text into date and get rid of " 00:00:00". My question is, why the output has the incorrect date format despite the fact the date format in Omniscope is correct? I would like to say also that, I receive the Omniscope output the same way I did it before, the only thing I have changed is my pc, so I needed to re-install the software. Please check your PC's system settings - region/language/dates etc. to make sure it is not set to US region in Windows. 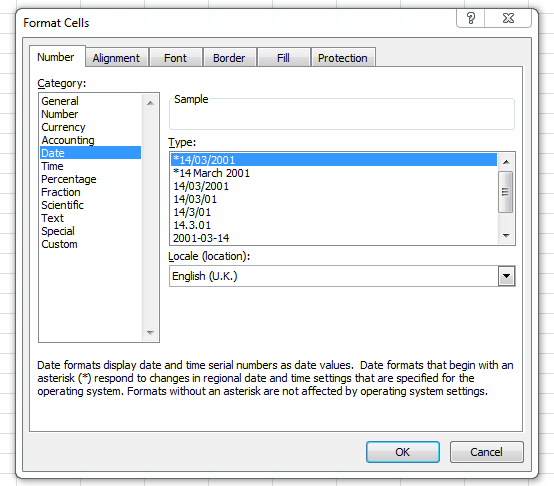 This will affect the Excel's date field formatting.